English withdraw with heavy losses. 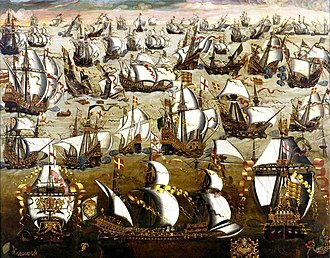 The English Armada, also known as the Counter Armada or the Drake-Norris Expedition, was a fleet of warships sent to Spain by Queen Elizabeth I of England in 1589, during the undeclared Anglo-Spanish War (1585–1604) and the Eighty Years' War. It was led by Sir Francis Drake as admiral and Sir John Norreys as general, and failed to drive home the advantage England had won upon the destruction of the Spanish Armada in the previous year. 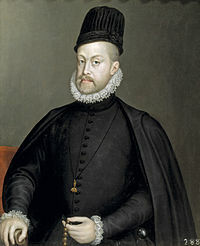 The Spanish victory marked a revival of Philip II's naval power through the next decade. 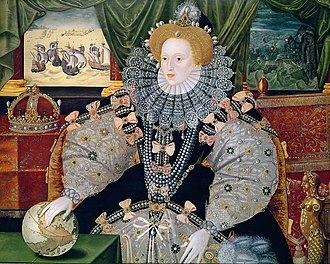 Queen Elizabeth I's intentions were to capitalise upon Spain's temporary weakness at sea after the successful repulse of the Spanish Armada and to compel Philip II to sue for peace. The expedition had three objectives: to burn the Spanish Atlantic fleet, to make a landing at Lisbon and raise a revolt there against Philip II (Philip I of Portugal), and then to continue west and establish a permanent base in the Azores. A further aim was to seize the Spanish treasure fleet as it returned from America to Cádiz, although this depended largely on the success of the Azores campaign. The strategic objective of the military expedition was to break the trade embargo imposed across the Portuguese empire, which included Brazil and the East Indies, among other areas, and trading posts in India and China. 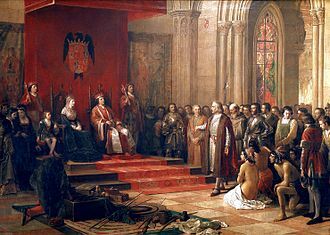 By securing an alliance with the Portuguese crown, Elizabeth hoped to curb Spanish Habsburg power in Europe and to free up the trade routes to these possessions. This was a difficult proposition, because Philip had been accepted as king by the aristocracy and clergy of Portugal in 1581 at the Cortes of Tomar. 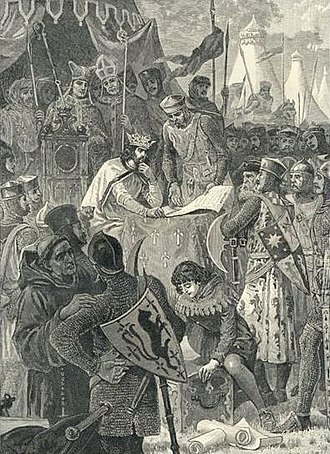 The pretender to the throne, António, Prior of Crato — the last surviving heir of the House of Aviz — failed to establish an effective government in exile in the Azores, and turned to the English for support. 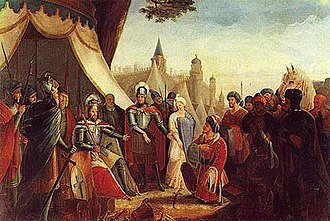 But he was not a charismatic figure, and with his cause compromised by his illegitimacy, he faced an opponent with a relatively strong claim to the throne in the eyes of the Portuguese nobles of the Cortes, Duchess Catherine of Braganza. The complex politics were not the only obstacle for the enterprise. Like its Spanish predecessor, the English expedition suffered from unduly optimistic planning, based on hopes of repeating Drake's successful raid on Cadiz in 1587. There was a contradiction between the separate plans, each of which was ambitious in its own right, but the most pressing need was the destruction of the Spanish Atlantic fleet lying at port in Corunna, San Sebastián and Santander along the northern coast of Spain, as directly ordered by the Queen. 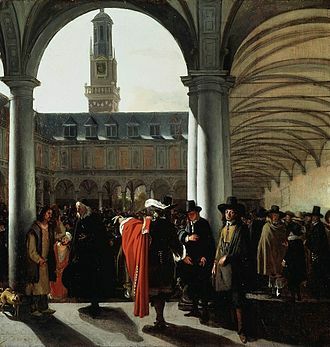 The expedition was floated as a joint stock company, with capital of about £80,000 — one quarter to come from the Queen, and one eighth from the Dutch, the balance to be made up by various noblemen, merchants and guilds. 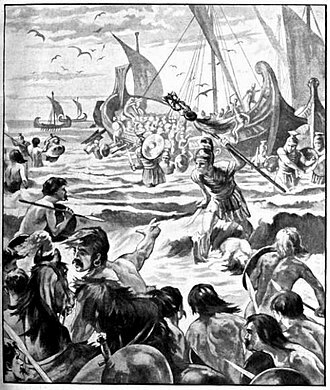 Concerns over logistics and adverse weather delayed the departure of the fleet, and confusion grew as it waited in port. The Dutch failed to supply their promised warships, a third of the victuals had already been consumed, and the number of veteran soldiers was only 1,800 while the ranks of volunteers had increased the planned contingent of troops from 10,000 to 19,000. Unlike the Spanish Armada expedition of the previous year, the English fleet also lacked siege guns and cavalry, which could compromise its intended aims. When the fleet sailed it was made up of six royal galleons, 60 English armed merchantmen, 60 Dutch flyboats and about 20 pinnaces. In addition to the troops, there were 4,000 sailors and 1,500 officers and gentlemen adventurers. Drake assigned his vessels to five squadrons, led respectively by himself in the Revenge, Sir John Norreys in the Nonpareil, Norreys' brother Edward in the Foresight, Thomas Fenner in the Dreadnought, and Roger Williams in the Swiftsure. Also sailing with them — against the Queen's express orders — was the Earl of Essex. 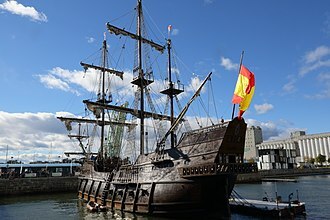 Most of the ships lost in Philip II's expedition of 1588 had been armed merchantmen, while the core of the Armada — the galleons of the Spanish navy's Atlantic fleet — survived their voyage home and docked in Spain's Atlantic ports for a refit, where they lay for months, vulnerable to attack. Unforeseen delays, many of them related to Drake's own fear of becoming embayed in the Bay of Biscay, led Drake to bypass Santander, where most of this refitting was under way. He alleged unfavourable winds and turned to attack Corunna in Galicia. 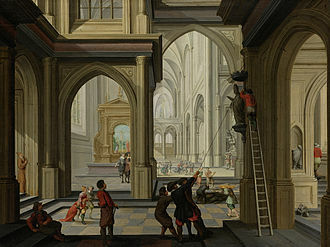 It is not fully clear why, but he may have been motivated by a false contemporary legend that a tower in Corunna held a fabulous treasure of gold coins, or he may have just been looking for supplies. Norreys[clarification needed] took the lower town, inflicted 500 casualties, and plundered the wine cellars there, whilst Drake destroyed thirteen merchant ships in the harbour. For the next two weeks the wind blew westerly, and while waiting for a change the English occupied themselves in a siege of Corunna's fortified upper town. They launched three major assaults against the walls of the upper town, and tried to breach them with mines, but the vigorous defence by the regular Spanish troops, militia, and women of the city including Maria Pita and Inés de Ben[page needed] forced the English back with severe losses. The Princesa and the Diana managed to avoid capture and slip past the English fleet repeatedly to resupply the defenders. After 14 days of siege and attempted assaults, on the 18th, the English heard news about Spanish reinforcements on their way to Corunna, and at length, with a favourable wind returning and painfully low morale, the English abandoned the siege and retreated to their ships, having lost four captains, three large ships[page needed], various boats[page needed] and more than 1,500 men in the fighting alone, along with 3,000 other personnel in 24 of the transports. 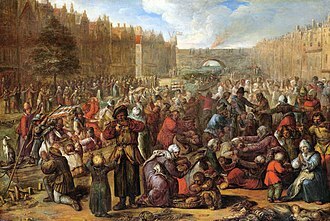 This included many of the Dutch who found reasons to return to England or put into La Rochelle. The next step in Elizabeth's plan was to stir a Portuguese uprising against King Philip. The Portuguese aristocracy had recognised him as King of Portugal in 1580, adding the Kingdom of Portugal to the Hispanic Monarchy. 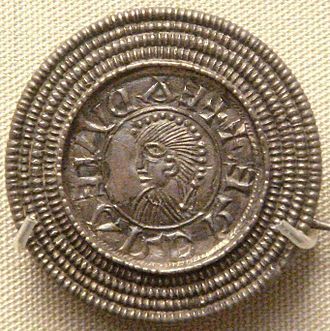 The pretender to the throne that England supported, the Prior of Crato, was not an ideal candidate. He did not have enough support even to establish a government in exile, nor much charisma to back his already dubious claim. Elizabeth had agreed to help him in hopes of diminishing the power of the Spanish Empire in Europe, and in exchange for a permanent military base in the strategic Azores Islands from which to attack merchant ships and ultimately obtain control of the commercial routes to the New World. On May 6, Drake arrived at Peniche, in Portugal, which was handed to them by supporters of Crato. After that, they headed towards Lisbon, 11,000 men and 110 ships at this point. Owing partially to poor organisation and lack of coordination (they had very few siege guns) the invading force failed to take Lisbon from the garrison of 7,000 Portuguese and Spanish soldiers and 40 ships guarding it. The expected uprising by the Portuguese loyal to Crato never materialised. Lisbon was rumoured to be guarded by a disaffected garrison, but whilst the English were fruitlessly besieging Corunna, the Spanish had spent a fortnight shoring up Portugal's military defences. 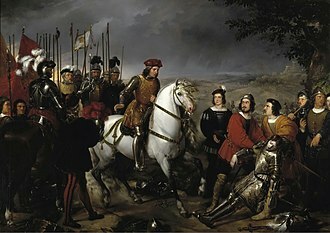 When Norreys invested Lisbon, the expected uprising was not forthcoming and little was achieved. Drake did take the opportunity on 30 June of seizing a fleet of 20 French and 60 Hanseatic ships which had broken the English blockade on trade with Spain by sailing all around the north of Scotland, only to fetch up before the English cannon in the mouth of the Tagus. This seizure, notes R. B. Wernham, 'dealt a useful blow to Spanish preparations', but later required a publicly printed justification, a Declaration of Causes, from the Queen's own printer, as, without booty, she and her fellow English investors faced considerable losses. The English dealt a further blow to Spanish naval preparations and food supplies by destroying the Lisbon granaries but, despite the bravado of Essex, who thrust a sword in at the gates of the city with a challenge to the defenders, the English could not take the city without artillery. Neither did they receive substantial support from the Portuguese. The expected uprising failed to occur, in part because of the absence of Drake, the land and naval forces having divided and being out of contact after the landing at Peniche, and the defenders would not risk battle. 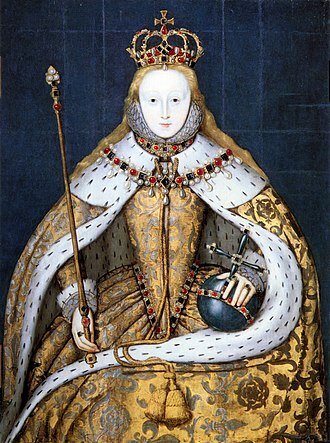 Essex received orders from Elizabeth to return to court, along with a refusal to send reinforcements or a siege train, the queen having no desire to carry the main burden of a land war in Portugal. It was therefore decided to concentrate on the third aim of the expedition: the establishment of a permanent military base in the Azores. However, by this point the campaign had taken its toll. Drake's forces had initially caught the Spanish authorities off guard, but Spain had now marshalled her defences, and the English expedition's strength was wearing down, and suffering increasingly from disease. Two armed merchantmen were caught off Lisbon by nine Spanish galleys, commanded by Alonso de Bazán. One of them, the William, was saved by Revenge after being abandoned by her crew, but the ship did not have enough manpower aboard to sail away after the battle and had to be scuttled to prevent her falling into the hands of the Spanish again. The other vessel was engulfed in flames after a fight, and sunk, her commander Captain Minshaw being lost with the ship. Further damage was sustained when one of three boats carrying William's complement was lost with all hands after being attacked by the Spanish warships. With the attack on the Azores becoming out of the question, Drake made a final attempt to retrieve the mission. At this point, most of his men were out of action, with only 2,000 still fit to be mustered. Stormy weather had also damaged a number of the ships. 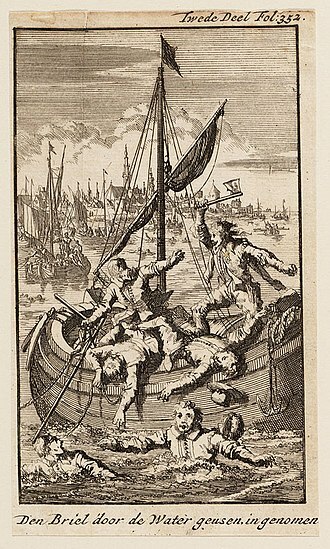 Whilst Norreys sailed for home with the sick and wounded, Drake took his pick of what was left and set out with 20 ships to hunt for the Spanish treasure fleet. Whilst lying in wait for it his naval force was struck by another heavy storm which left him unable to continue, and whilst raiding and plundering Porto Santo in Madeira in compensation. his flagship the Revenge sprang a leak due to storm damage and almost foundered as she led the remainder of the fleet home to Plymouth. 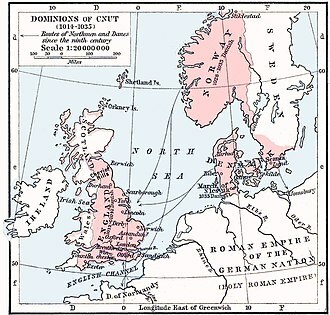 The English fleet lost about 40 ships, plus the 18 launches destroyed or captured at Corunna and Lisbon. Fourteen of the ships were lost directly to the actions of Spanish naval forces: three at Corunna; six were lost to actions led by Padilla, three to Bazán and two to Aramburu. The rest were lost to a stormy sea as the fleet made its return voyage to England. The outbreak of disease on board the vessels was also transmitted to the port town populations in England on its return. None of the campaign's aims had been accomplished, and for a number of years this expedition's results discouraged further joint-stock adventures on such a scale. The English expeditionary force had sustained a heavy loss of ships, troops and resources, but only brought back 150 captured cannon and £30,000 of plunder, and had not inflicted decisive damage on the Spanish forces. Another indirect minor strategic benefit was, perhaps, a temporary disruption to Spanish military shipping activity, and the diversion of Spanish imperial resources that might have contributed to a mutiny by troops under the command of Parma in Flanders that August. The most detailed account (in English), written in the form of a letter by an anonymous participant, was published in 1589: A true Coppie of a Discourse written by a Gentleman, employed in the late Voyage of Spain and Portingale... which set out openly to restore the credit of the participants. However, this English narrative has been shown to have been a highly effective means to bury the magnitude of the disaster. 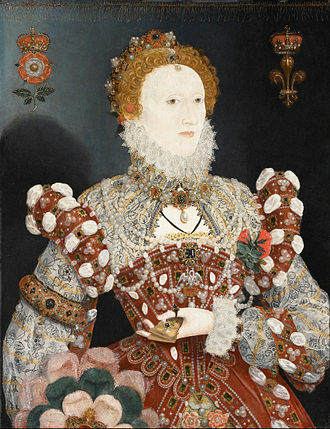 With the opportunity to strike a decisive blow against the weakened Spanish navy lost, the failure of the expedition depleted the financial resources of England's treasury, which had been carefully restored during the long reign of Elizabeth I. The war was financially costly to both of its protagonists, and the Spanish Empire—which was fighting France and the United Provinces at the same time—would be compelled in financial distress to default on its debt repayments in 1596 following another raid by the English on Cadiz. In 1595 the Spanish counter-attacked the English mainland in the Battle of Cornwall. Two more armadas in 1596 and 1597, substantially weaker than the great one she had issued in 1588, were sent by Spain against England, but both were scattered by storms en route. However the failure of the English expedition of 1589 marked an ebbing point[clarification needed] in the Anglo-Spanish war, and the conflict wound down with diminishing military actions, until a peace was agreed between the two powers at the signing of the Treaty of London in 1604. 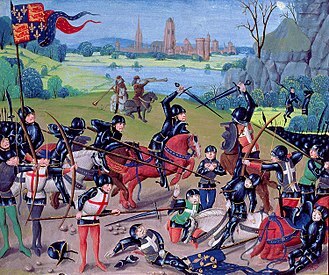 ^ Philip's spies in England reported losses exceeding 18,000 men. French and Italian reports never put the number lower than 15,000 dead. ^ Hannay, David McDowall (1911). "Antonio, Prior of Crato". In Chisholm, Hugh. Encyclopædia Britannica 2 (11th ed.). Cambridge University Press. This article incorporates text from a publication now in the public domain: Hannay, David McDowall (1911). "Antonio, Prior of Crato" . In Chisholm, Hugh. Encyclopædia Britannica. 2 (11th ed.). Cambridge University Press. ^ Valcarcel, Isabel. Mujeres De Armas Tomar(Women-At-Arms). Madrid: Algaba, 2004. ^ R. B. Wernham, 'Queen Elizabeth and the Portugal Expedition of 1589: Part II', English Historical Review, 66/259 (April 1951), p. 204. ^ Wernham, 'Part II', 214, 210–11. ^ Wernham, 'Part II', 210–11. ^ Wernham, 'Part II', 214. ^ John A. Wagner, Historical Dictionary of the Elizabethan World: Britain, Ireland, Europe, and America (New York: Checkmark Books, 2002), p. 242. ^ Tenace 2003, pp. 855–882. ^ a b Santos, Luis Gorrochategui (2018). The English Armada: The Greatest Naval Disaster in English History. Bloomsbury Publishing. p. 245. Fernández Duro, Cesáreo (1972). Armada Española desde la Unión de los Reinos de Castilla y Aragón. Museo Naval de Madrid, Instituto de Historia y Cultura Naval, Tomo III, Capítulo III. Madrid. 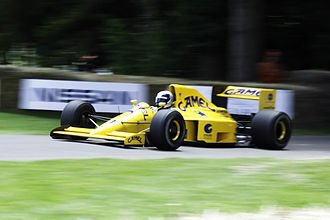 Parker, Geoffrey (1996). 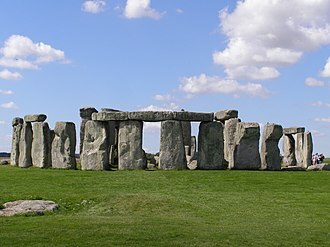 "The Dreadnought Revolution of Tudor England". The Mariner's Mirror. 82: 269–300. doi:10.1080/00253359.1996.10656603. J. H. Parry, 'Colonial Development and International Rivalries Outside Europe, 1: America', in R. B. Wernham (ed. ), The New Cambridge Modern History, Vol. III: 'The Counter-Reformation and Price Revolution 1559–1610' (Cambridge: Cambridge University Press, 1971): 507–31. Helmut Pemsel, Atlas of Naval Warfare: An Atlas and Chronology of Conflict at Sea from Earliest Times to the Present Day, translated by D. G. Smith (London: Arms and Armour Press, 1977). John A. Wagner, Historical Dictionary of the Elizabethan World: Britain, Ireland, Europe, and America (New York: Checkmark Books, 2002). R. B. Wernham, "Queen Elizabeth and the Portugal Expedition of 1589: Part I" The English Historical Review 66.258 (January 1951), pp. 1–26; "Part II" The English Historical Review 66.259 (April 1951), pp. 194–218. Wernham's articles are based on his work editing Calendar State Papers Foreign: eliz. xxiii (January–June 1589). Robert Devereux, 2nd Earl of Essex, KG, PC was an English nobleman and a favourite of Elizabeth I. Politically ambitious, and a general, he was placed under house arrest following a poor campaign in Ireland during the Nine Years War in 1599. In 1601, he led an abortive coup détat against the government and was executed for treason, Essex was born on 10 November 1565 at Netherwood near Bromyard, in Herefordshire, the son of Walter Devereux, 1st Earl of Essex, and Lettice Knollys. His maternal great-grandmother Mary Boleyn was a sister of Anne Boleyn and he was brought up on his fathers estates at Chartley Castle, and at Lamphey, Pembrokeshire, in Wales. His father died in 1576, and the new Earl of Essex became a ward of Lord Burghley, in 1577, he was admitted as a fellow-commoner at Trinity College, Cambridge, in 1579, he matriculated, and in 1581 he graduated as Master of Arts. On 21 September 1578, Essexs mother married Robert Dudley, Earl of Leicester, Elizabeth Is long-standing favourite, Essex performed military service under his stepfather in the Netherlands, before making an impact at court and winning the Queens favour. In 1590, he married Frances Walsingham, daughter of Sir Francis Walsingham and widow of Sir Philip Sidney, by whom he was to have several children, Leicesters nephew, died in 1586 at the Battle of Zutphen in which Essex distinguished himself. In October 1591, Devereuxs mistress, Elizabeth Southwell, gave birth to a son who survived into adulthood. Essex first came to court in 1584, and by 1587 had become a favourite of the Queen, in June 1587 he replaced the Earl of Leicester as Master of the Horse. After Leicesters death in 1588, the Queen transferred the late Earls royal monopoly on sweet wines to Essex, in 1593, he was made a member of her Privy Council. Essex underestimated the Queen and his behaviour towards her lacked due respect and showed disdain for the influence of her principal secretary. 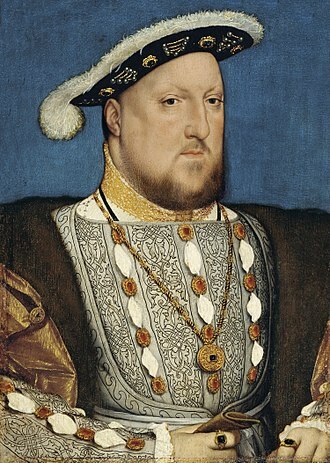 On one occasion during a heated Privy Council debate on the problems in Ireland, in 1591, he was given command of a force sent to the assistance of King Henry IV of France. In 1596, he distinguished himself by the capture of Cadiz, so when the 3rd Spanish Armada first appeared off the English coast in October 1597, the English fleet was far out to sea, with the coast almost undefended, and panic ensued. Galicia is an autonomous community of Spain and historic nationality under Spanish law. 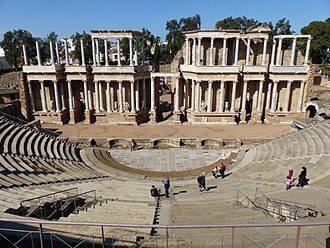 It had a population of 2,718,525 in 2016 and has an area of 29,574 km2. Galicia has over 1,660 km of coastline, including its islands and islets, among them Cíes Islands, Ons, Sálvora, Cortegada. 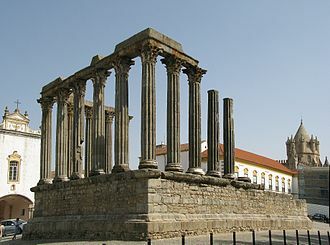 Galicia was incorporated into the Roman Empire at the end of the Cantabrian Wars in 19 BC, in 410, the Germanic Suebi established a kingdom with its capital in Braga, this kingdom was incorporated into that of the Visigoths in 585. The Governor presided the Real Audiencia do Reino de Galicia, from the 16th century, the representation and voice of the kingdom was held by an assembly of deputies and representatives of the cities of the kingdom, the Cortes or Junta of the Kingdom of Galicia. This institution was forcibly discontinued in 1833 when the kingdom was divided into four provinces with no legal mutual links. During the 19th and 20th centuries, demand grew for self-government and this resulted in the Statute of Autonomy of 1936, soon frustrated by Francos coup detat and subsequent long dictatorship. After democracy was restored the legislature passed the Statute of Autonomy of 1981, approved in referendum and currently in force, the interior of Galicia is characterized by a hilly landscape, mountain ranges rise to 2,000 m in the east and south. The coastal areas are mostly a series of rías and cliffs. 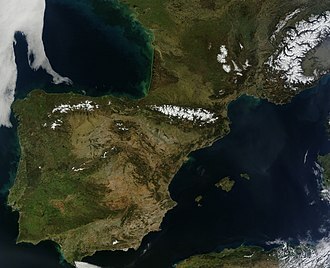 The climate of Galicia is usually temperate and rainy, with drier summers. 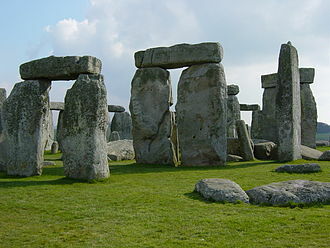 Its topographic and climatic conditions have made animal husbandry and farming the primary source of Galicias wealth for most of its history, allowing for a relative high density of population. 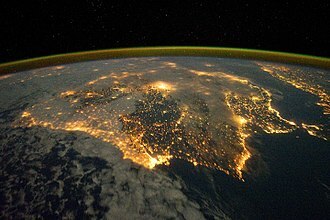 With the exception of shipbuilding and food processing, Galicia was based on a farming and fishing economy until after the mid-20th century, in 2012, the gross domestic product at purchasing power parity was €56,000 million, with a nominal GDP per capita of €20,700. There are smaller populations around the cities of Lugo and Ourense. The political capital is Santiago de Compostela, in the province of A Coruña, Vigo, in the province of Pontevedra, is the most populous municipality, with 292,817, while A Coruña is the most populous city, with 215,227. An English expedition of ships led by James Lancaster sailed via the Atlantic capturing numerous prizes before he captured Recife. He held the place for nearly a month and proceeded to defeat a number of Portuguese counterattacks before leaving, the booty captured was substantial, Lancaster chartered Dutch and French ships that were present there thus making the expedition a military and financial success. Remaining there until September Portuguese and Spanish ships were plundered which although highly profitable had been a disaster in terms lives lost to storms. Lancaster newly returned in 1593, decided on an expedition to Portuguese Brazil and tap the lucrative sugar and spice market. Lancaster mustered a fleet of a joint stock venture in late 1594 with John Watts, Simon Boreman, Paul Bayning, John More. Lancaster had been raised amongst the Portuguese, spoke the language and had been a trader with them before war had broken out, the combined forces soon captured its largest prize yet, a large Spanish galley-frigate. This was great news for Lancaster which gave him more of an incentive to take Recifie. The fleet now totaling nearly fifteen ships would accompany him there, when Lancaster arrived he found three sixty ton Dutch fluitships already there intending to take the cargo and prevent it going back to Portugal. 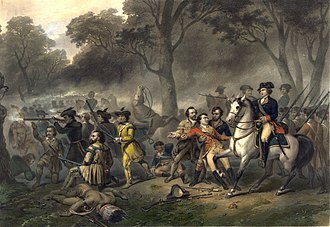 The garrison fled to Olinda almost three miles away who took refuge and Lancaster with only ten casualties permitted not the slightest disorder after the place was taken. 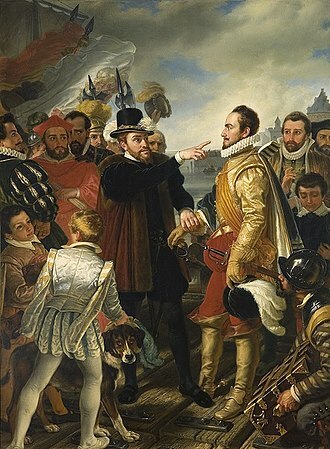 Now in possession of the area Lancaster knew the Portuguese were preparing a counterattack so he strengthened Fort São Jorge which connected Recife with Olinda and he proceeded at leisure to stow his ships with the goods found in the town of which there nearly 100 houses and store buildings. The Portuguese however intended to drive the English away so made several attempts at retaking the town but each time assaulting the fortified isthmus they were repelled with heavy losses. The next attempt was made via the waters, blazing rafts were sent down the river and at the time an attempt by fire-ships on sea was made. With this extra number Lancaster ordered an attack Olinda in order to any aggression while they consolidated their gains. This was achieved at night and Olinda was sacked after meeting little resistance with more booty taken, after remaining in possession of Recife for more than twenty days Lancaster knew that he would have to leave soon and prepared to sail. The Portuguese however were observed constructing a battery to command the entrance of the harbor, almost all the officers of the party including Venner, and others to the number of thirty-five were killed before the rest found the safety of the English lines. Buoyed by this success the Portuguese with their Indian allies launched another attack on the isthmus, after this close call Lancaster decided that the occupation had reached its end and decided to take advantage of leaving unmolested with the destruction of the battery. Lancaster put to sea with fifteen vessels ladened with merchandises but a strong gale outside caused the fleet to be scattered. Captain Thomas Lee by Marcus Gheeraerts. El Galeón, a 17th-century Spanish galleon replica in Quebec City in 2016.